The debut feature film from Kamal Khan, Laal Kabootar, and Azfar Jafri’s Sherdil were both released on the same day on March 22nd. 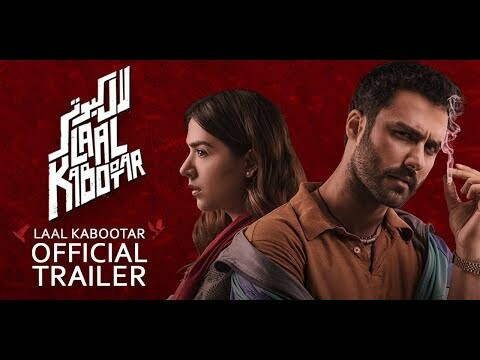 While Laal Kabooter is a Karachi based crime drama, Sherdil packs a patriotic fervor, making both films very different from each other. Fortunately though, for both films, they have been able to secure a good spot in the box office and have made decent amounts. Here’s how much each film made so far. According to estimated figures, Laal Kabootar was able to amass Rs. 77 Lakhs by the end of the opening weekend. It is still selling tickets and is expected to reach even better figures by the end of its second weekend. Here’s how much the film on each day. Despite failing to impress movie critics in Pakistan, Sherdil has actually done pretty well in the box office. It has amassed Rs. 4.15 crores by the end of opening weekend. One of the major reasons behind this success is the recent Pakistan and India tensions. Here’s how much the film earned on its opening weekend. With Sherdil and Laal Kabootar released and doing well in Pakistan, this weekend Pakistanis will also be able to see Project Ghazi in Cinemas. The sci-fi, superhero film will release on March 29.